The Council of the Australian Academy of the Humanities is the governing body for A New Approach. Several advisory committees have been established for A New Approach which provide input into the program of work. The Reference Group provides strategic advice on A New Approach’s research agenda and public engagement initiatives. They are also a crucial part of the think tank’s work of building a cohort of well-informed champions for the importance of effectively investing in a strong creative and cultural life for Australia. Rupert was appointed to The Australia Council for the Arts in 2012 and completed his six year term as Chair mid-2018. He serves as a member of the Felton Bequests’ Committee and as a board member of Jawun – Indigenous Corporate Partnerships, and The University of Melbourne Faculty of Business and Economics Advisory Board. He is an Emeritus Trustee of The National Gallery of Victoria. 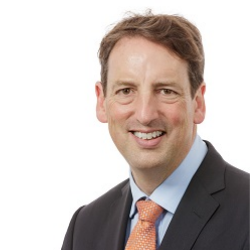 Rupert is a Director of AMCIL Ltd, Healthscope Limited, The Myer Family Investments Pty Ltd, Mutual Trust Pty Ltd and Hong Kong based eCargo Holdings Limited. His previous roles in the arts include serving as Chairman of the National Gallery of Australia, Opera Australia Capital Fund, Kaldor Public Art Projects and National Gallery of Victoria Foundation, as a Board Member of Creative Partnerships Australia, The Myer Foundation and The Australian International Cultural Foundation and as a Trustee, National Gallery of Victoria, a Board Member, Museum of Contemporary Art, Sydney, a Member of the Advisory Board, Melbourne Symphony Orchestra, a Member, National Council & Melbourne Committee, The Australian Opera (now Opera Australia), and as a Council Member, Australian Association of Philanthropy (now Philanthropy Australia). He chaired the Australian Government’s Inquiry into the Contemporary Visual Arts and Crafts Sector which completed its report in 2002. Kim Allom is a young leader in the Australian games industry, recognised by both government and industry through several awards (Queensland Young Achiever of the Year, online achievement 2017; Screen Queensland inaugural Mentorship 2017; Industry Champion, Australian Game Developer Awards 2017). Kim is the Studio Manager at Defiant Development, makers of the Hand of Fate series, based in Brisbane, QLD. 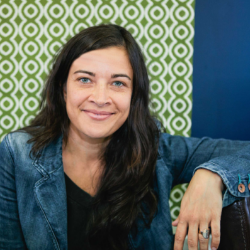 She is also a co-founder of the Blushbox Collective. Her experience includes production, publishing, event and release support for: Heartbeat 2018 (conference and game jam), 2018; Hand of Fate 2 (PC/MAC/Linux, PS4, XB1), 2017; Hand of Fate (PC/MAC/Linux, PS4, XB1), 2015; Ski Safari : Adventure Time (Android, iOS), 2013. Jane Curry has spent over 25 years in book publishing starting straight from university in England to join Time Life Books in London before coming to Australia in 1985. Over her career she has been Managing Director of Weldon Publishing, Lansdowne Publishing, Macquarie Library and National Book Distributors. Jane published her own list at Pan Macmillan Australia prior to establishing her own trade-publishing house Ventura Press in 2002 publishing across the genres of literary fiction, memoir and narrative non-fiction. Ventura was shortlisted in the ABIA small publisher award in 2015. For 12 months in 2010 she was Managing Director of Quarto PLC’s Asia Pacific division with responsibility for China, Korea and SE Asia and Australia. 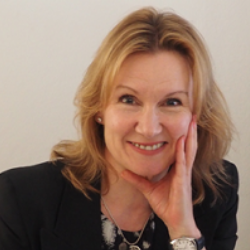 Jane has extensive international experience and attends all the major book fairs in Frankfurt, London and since 2017, Beijing. Jane was instrumental in establishing the APA’s Australian stand at the Beijing International Book Fair in 2017 and followed up with a second visit this year. 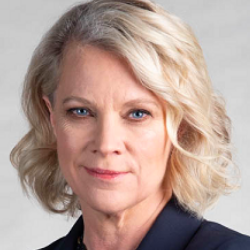 Jane is a director of the Australian Publishers Association and is convenor of the APA’s Independent Publishers Committee and has been a director of Copyright Agency Limited since 2015. Jane was a winner in the 2014 Westpac/AFR 100 Women of Influence awards. 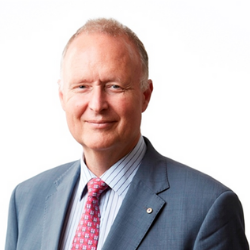 Dr John Daley has been the Chief Executive of the Grattan Institute since it was founded ten years ago. He has published extensively on economic reform priorities, budget policy, tax reform, retirement incomes, housing affordability, and generational inequality. This work is underpinned by themes of prioritising government initiatives, and the limits to government effectiveness. John graduated from the University of Oxford in 1999 with a DPhil in public law after completing an LLB (Hons) and a BSc from the University of Melbourne in 1990. He has worked at the University of Oxford, the Victorian Department of Premier and Cabinet, McKinsey and Co, and ANZ Bank, in fields including law, public policy, strategy, and finance. 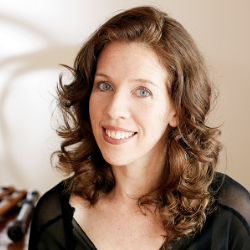 Genevieve Lacey is a recorder virtuoso, serial collaborator and artistic director, with a significant recording catalogue and a career as an international soloist. She creates large-scale collaborative works across radio, film, dance, theatre and public art, and has premiered scores of works, written for her. Her wide-ranging musical interests have seen her representing Australian culture with a performance at the Lindau International Convention of Nobel Laureates, playing for the Queen in Westminster Abbey, playing on a basketball court on Thursday Island with Australian indigenous ensemble The Black Arm Band, playing as a concerto soloist in Albert Hall for BBC Proms, making music in a prison in remote Western Australia, and at the opening night of the London Jazz Festival. Genevieve’s work has won Australia Recording Industry Awards, a Helpmann, Australia Council, Freedman and Churchill Fellowship and Outstanding Musician, Melbourne Prize for Music. She holds degrees (including a doctorate) in music and English literature from universities in Melbourne, Switzerland and Denmark. 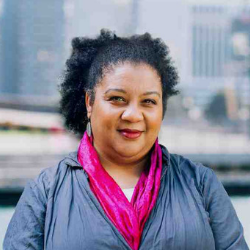 Genevieve was Melbourne Recital Centre’s 2018 Artist in Residence and is currently Chair of the Australian Music Centre, Artistic Director of FutureMakers, artistic advisor for UKARIA and the most recent winner of the Sidney Myer Performing Arts Award for an individual. Shelagh Magadza, Executive Director, Chamber of Arts and Culture WA, Perth. Shelagh has had an extensive career as an Artistic Director and Producer of major events and Festivals. For the last decade, she has held leadership positions as Artistic Director of two of Australasia’s largest multi-arts Festivals in Perth and New Zealand. She has commissioned and produced new work with artists from across Australia, New Zealand and internationally. These have included concert performances, outdoor spectacle events, theatre, dance and site-specific installations. She has been an advocate for artists both at a community level and creating international opportunities for touring and exchange. She has as strong track record of successful partnerships with arts organisations, government agencies and the private sector. 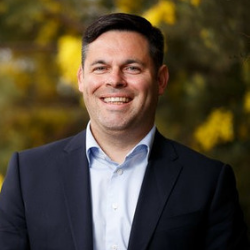 Damien Miller is currently the Assistant Secretary of the Soft Power, Partnerships and Research Branch at the Australian Department of Foreign Affairs and Trade in Canberra. He is co-Faculty Head of the “Understanding Australia” Faculty at the Australian Government’s Diplomatic Academy. In 2017 he joined the inaugural cohort of Atlantic Fellows for Social Equity. From May 2013 to May 2017 he was Australia’s Ambassador to Denmark, with non-resident accreditation to Norway and Iceland. He was the first Indigenous Australian to be appointed head of an overseas mission. Damien previously served overseas as Australia’s Deputy Ambassador to Germany (2010-2013) and at the Australian High Commission in Malaysia (2000-2003). He joined the Australian Department of Foreign Affairs and Trade in 1995. Damien holds a Graduate Diploma in Foreign Affairs and Trade from Monash University and a Bachelor of Arts and Bachelor of Laws from the University of New South Wales. He was selected “Aboriginal Scholar of the Year” by the National NAIDOC Committee in 1993. He is a descendant of the Gangalu people of central Queensland. Alison Page is a Walbanga and Wadi Wadi woman and is an award-winning Designer and Film Producer whose career spanning 20 years links indigenous stories and traditional knowledge with contemporary design. She appeared for eight years as a regular panelist on the ABC TV show, The New Inventors and in 2015, was inducted into the Design Institute of Australia’s Hall of Fame. She is a Professor of Practice at the University of Technology’s Design Architecture and Building Faculty developing courses in indigenous design. Alison is the founder of the Saltwater Water Freshwater Arts Alliance, which brought together ten Aboriginal communities on the Mid North Coast of NSW to host a broad range of arts and cultural activities including the annual Festival. She is the founder of the National Aboriginal Design Agency, which licenses Aboriginal art for use in textiles, carpets and interiors. Alison’s most recent work is in collaboration with Cinematographer Nik Lachajczak in media production studio Zakpage, which is currently producing Clever Country, a series on indigenous science and technology. Alison is the Executive Chair of the National Centre of Indigenous Excellence. 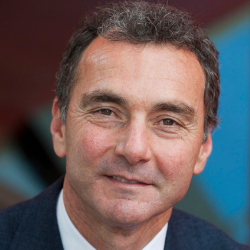 Dr Mathew Trinca is the Director of the National Museum of Australia and Co-Chair of the Australia Singapore Arts Group. Under Dr Trinca’s leadership, the National Museum has developed strongly engaged national and international programs that focus on bringing alive the stories of Australia for audiences around the country and overseas. The Museum has partnerships and programs with a range of cultural institutions abroad, including organisations in Singapore, China, Japan, Vietnam, France and the United Kingdom. A major program of work with the British Museum saw the return of early Aboriginal and Torres Strait Islander collections to Australia in 2015 – marking the first time they had been seen in Australia since their collection. Mathew’s interests span the twentieth-century history of Australia, with a focus on the social and cultural relationships between Britain and Australia. He also has a professional interest in the historical and contemporary links between Australia and Asia. His publications include contributions to debates on museum theory and practice, the history of Australian travel to the United Kingdom, on convictism in Western Australia, and on that State’s constitutional history. Dr Trinca worked as a history curator and manager of the MuseumLink program at the Western Australian Museum, in Perth, and as a consultant historian for public history projects, including work on conservation plans, exhibition developments and short documentary films. As well as his role in the Australia Singapore Arts Group, Mathew is also an Executive Member of ICOM Australia. Professor Malcolm Gillies AM FAHA (Chair) — higher education leader, musicologist and linguist. Distinguished Professor Ien Ang FAHA — transnational, multi-cultural and cross-cultural studies; local government engagement. Professor Tony Bennett AcSS FAHA — cultural policy, cultural practice and consumption; museum studies. Distinguished Professor Stuart Cunningham AM FAcSS FAHA — creative and cultural industries. Professor Jennifer Milam FAHA — art historian, public humanities.